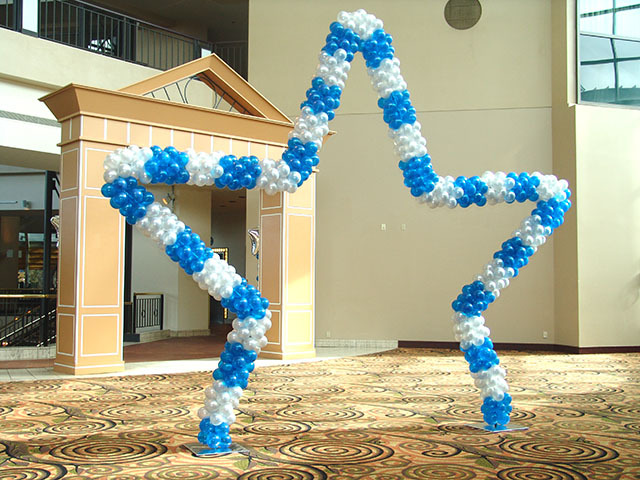 These balloon star ideas are a huge hit in almost any venue. The large walk through balloon arch is a great way to get everyone involved into your event. 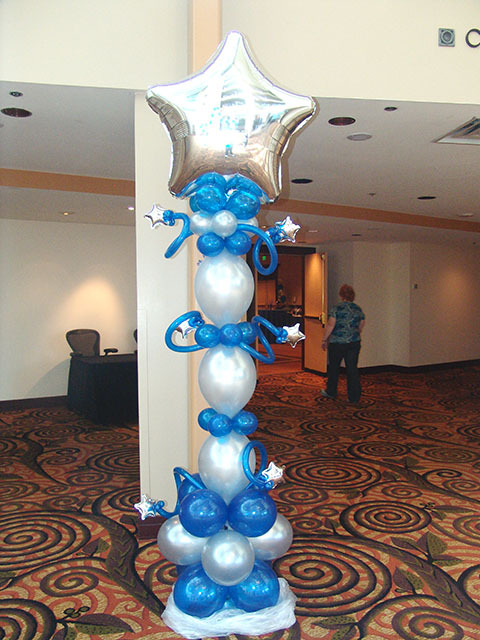 The unique star balloon columns are fun and bursting with excitement.